The second stop on our 2014 Namibia Photo Tour will be the port town of Luderitz. We will be staying at The Nest Hotel where every room has an ocean view. In 1908, diamonds were discovered here and caused a rush of people to converge on the area. 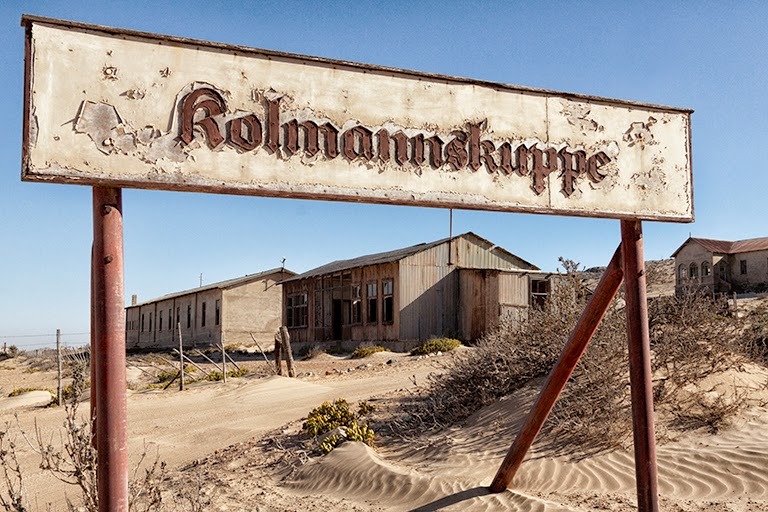 Kolmanskop became a bustling little German town in the Namib Desert complete with hospital, theater, school, casino, skittle bowl alley and beautiful homes. 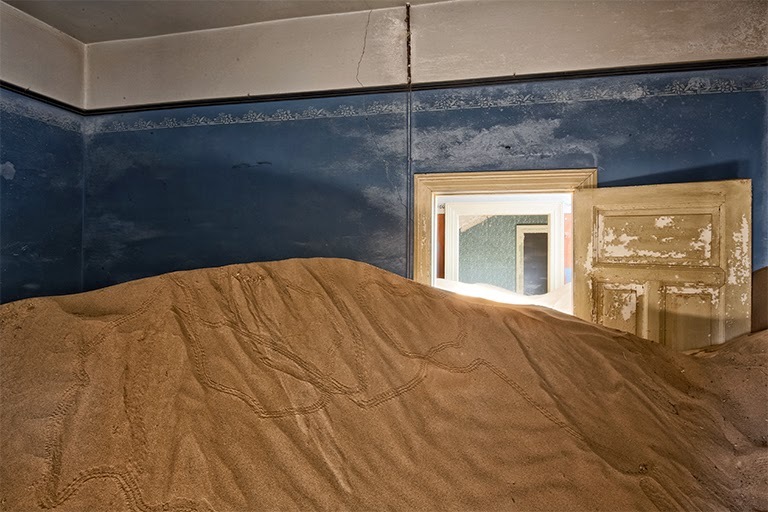 The development of Kolmanskop reached its peak in the 1920's with it's population around 300-400 people, but the town declined after World War 1, when diamond prices crashed, and when richer diamond deposits were discovered elsewhere. Today the ghost town's crumbling ruins hardly resemble the way the town looked in it's heyday. The stately homes and buildings have been ravaged by the wind, and are gradually becoming enveloped by encroaching sand dunes. Made photographically famous by Freeman Patterson, it is a location filled with a multitude of creative story-telling photographic opportunities. Any time of the day is good for photographing here. Even the harsh mid-day sun works well for interior shots, lighting up rooms in the backgrounds of compositions and creating zig-zag shadows on the walls as it shines through the slatted ceilings. 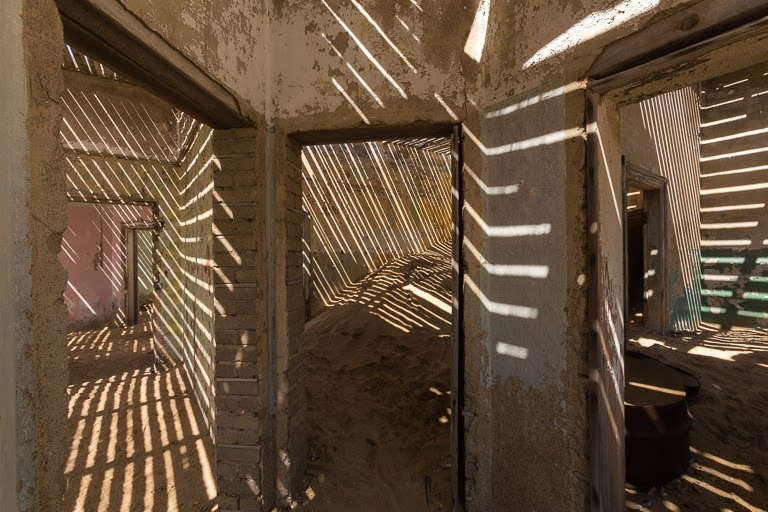 Like the Quivertree Forest in Keetmanshoop, Kolmanskop is another place where shooting in HDR (High Dynamic Range) can be advantageous at times. Some of the interior spaces can sport such a wide gamut of tones, that by using HDR, the photographer can bring out details in the dark background rooms, coaxing the viewer to visually wander further into the image. We will be spending a full day shooting at this location with a special permit to gain access early in the morning prior to tour groups. The permit also allows us to stay until sunset, long after the 1:00 P.M. closing time for general tourists. 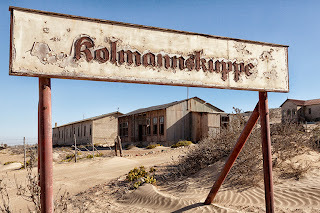 There is a cafe on the grounds for a lunch break, and a museum which tells the history of Kolmanskop and the diamond rush. 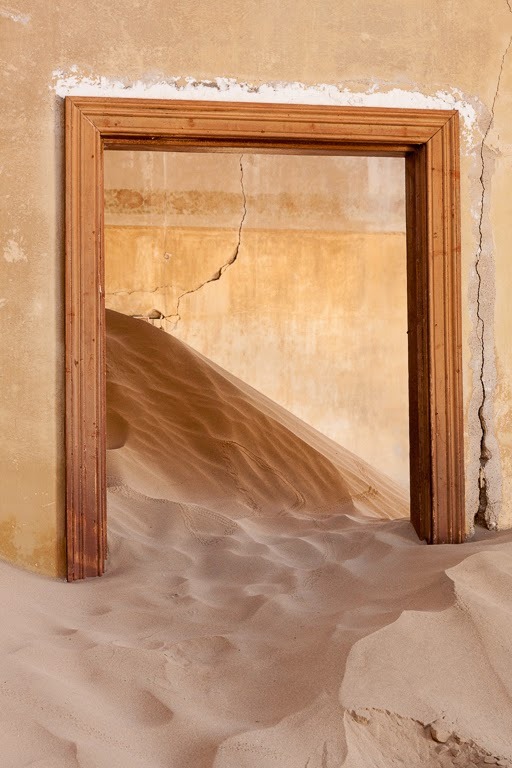 In addition to the gallery of images made on my first visit to Kolmanskop in 2009, I have posted two new galleries from my 2013 visit to Kolmanskop showing the crumbling EXTERIORS and INTERIORS of buildings and homes from another era. The new galleries can be seen HERE.